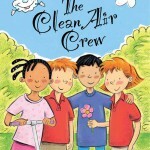 If you want to become a member of the Clean Air Kids Club, have your parent or guardian complete the Kids Club Membership Form and send it to the following mailing address or email it to us at kidsclub@cleanairmakemore.com. 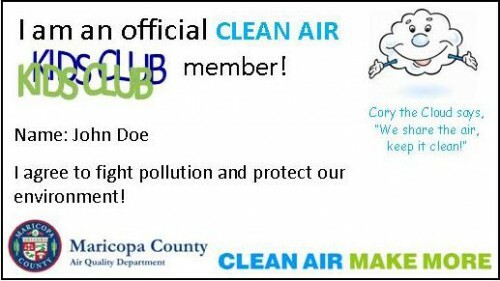 To become a member, you are required to be an elementary schools student in Maricopa County (grades kindergarten through sixth). Kids Club Activity Book (pdf). Kids Club Activity Book en Español.